Today We Are Going To Understand Two File Which is Very Important in Linux OS . Passwords and authentication are concepts that every user must deal with when working in a Linux environment. These topics span a number of different configuration files and tools. In this guide, we will explore some basic files, like "/etc/passwd" and "/etc/shadow", as well as tools for configuring authentication, like the aptly-named "passwd" command and "adduser". We will be using an Ubuntu 12.04 VPS to discuss these topics, but any modern Linux distribution should function in a similar way. What Is the "/etc/passwd" File? The first file we will look at, called the "/etc/passwd" file, does not actually store passwords. At one time, this file stored the hashed passwords of every user on the system. However, this responsibility has been moved to a separate file for security reasons. The first thing to note is that this file is accessible by unprivileged users. Everyone on the system has read privileges to this file. This is why password information was moved out of this file. Let's look at the format of the file. Each line in the file contains the login information of a single user on the system. Some of these users might be created for use by daemons and background services. x: Placeholder for password information. The password is obtained from the "/etc/shadow" file. 0: User ID. Each user has a unique ID that identifies them on the system. 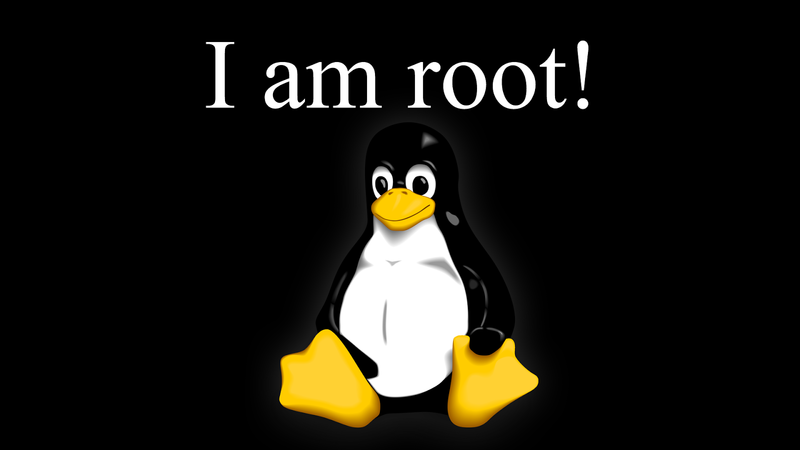 The root user is always referenced by user ID 0. 0: Group ID. Each group has a unique group ID. Each user has a "primary" group that is used as the group by default. Again, the root group's ID is always 0.
root: Comment field. This field can be used to describe the user or user's function. This can be anything from contact information for the user, to descriptions of the service the account was made for. /root: Home directory. For regular users, this would usually be "/home/username". For root, this is "/root". /bin/bash: User shell. This field contains the shell that will be spawned or the command that will be run when the user logs in. As you add user accounts using commands like "adduser" and "useradd", or as you install more services, this file will grow. New username information will be added to the bottom of this file. In most cases, you should not have to edit this file by hand. There are tools that manipulate this file and ensure that the proper syntax is maintained. What Is the "/etc/shadow" File? The actual password data is stored in a file called "/etc/shadow". This doesn't actually contain passwords in plain text. Instead, it uses a key derivation function to create a hash. This is what it stores in the file. A key derivation function is basically an algorithm that will always create a certain hash when given the same input. The same algorithm is run on the password that is given during authentication and this value is compared to the value in this file. Note that this file, unlike the "/etc/passwd" file, is not readable by unprivileged users. The root user has read and write permissions, and the "shadow" group, which contains users needed for authentication, has read permissions. Like the "/etc/passwd" file, each line defines a user's information and each field is delimited by a colon (:) character. Note: The asterisk (*) value in the second field on some of the above lines means that the account cannot log in. This is mainly used for services and is intended behavior. *: Salt and hashed password. You can see what this looks like with the root entry above. As noted above, the asterisk signifies that this account cannot be used to log in. 15455: Last password change. This value is measured in days from the Unix "epoch", which is January 1, 1970. 0: Days until password change permitted. 0 in this field means there are no restrictions. 99999: Days until password change required. 99999 means that there is no limit to how long the current password is valid. 7: Days of warning prior to expiration. If there is a password change requirement, this will warn the user to change their password this many days in advance. [blank]The last three fields are used to denote days before the account is made inactive, days since the Epoch when the account expires. The last field is unused. How Do You Change Passwords? Users' passwords can be modified by issuing the "passwd" command. By default, this command changes the current user's password and does not require special permissions. You will be prompted for your password for the "sudo" command, and then you will be told to enter and confirm the new password you would like to use. If you compare the hashed value in the "/etc/shadow" file, you will see that it changes after you issue the passwd command. How Do You Create New Users? Users can be created using a few different commands. The easiest method is probably with the "adduser" command, which we will cover here. On Ubuntu systems, this is linked to a perl script that handles appropriate user creation. You will be asked a series of questions that will help fill in the information in the "/etc/passwd" file and the "/etc/shadow" file. You can see that this takes great advantage of the comments field. The other fields are filled in as expected. Using these simple tools, you can change the login information on your system. It is important to test your ability to log in after making any changes. It is also essential to keep the permissions on the authentication files the same to maintain functionality and security.